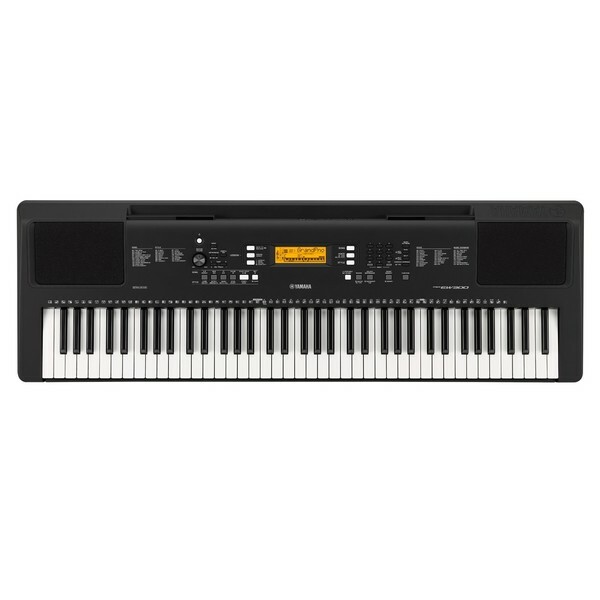 The Yamaha PSR EW300 Portable Keyboard is ideal for developing musicians requiring a reliable instrument to learn with. 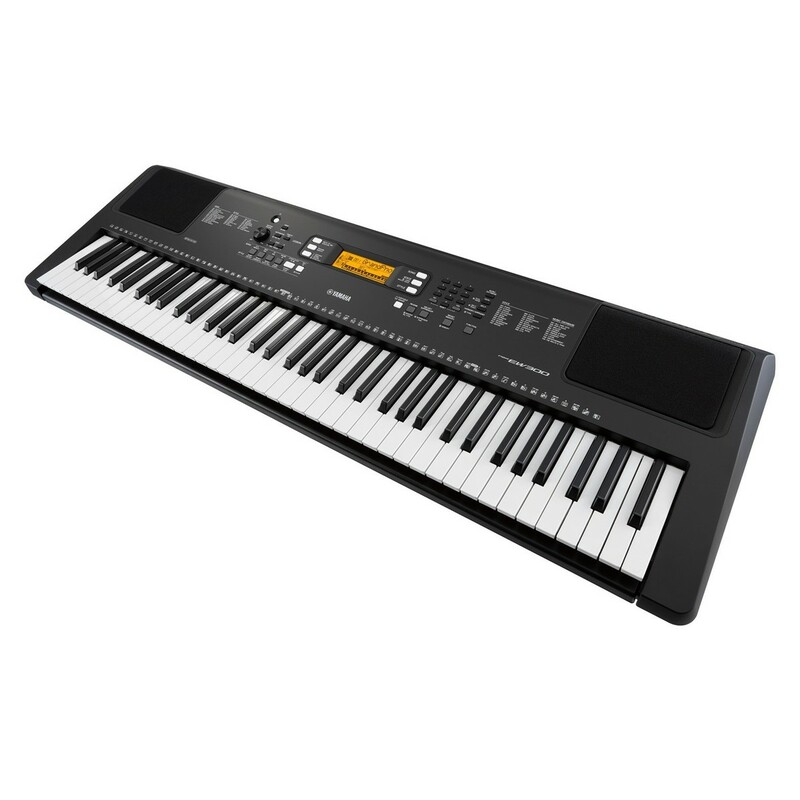 This model has 76 keys, which is ideal for students who want a range of octaves without the space of a full size board. The easily portable, lightweight design can be comfortably carried to rehearsals and gigs. This keyboard features over 550 voices that include synths, guitars, orchestral instruments and even drum kits, all with a range of effects. The Y.E.S learning guide provides you with over 100 songs to help with improving your technique independently. The easy-to-use interface and digital screen offers quick navigation to each of the features. This model has a classic black finish that will complement any environment. 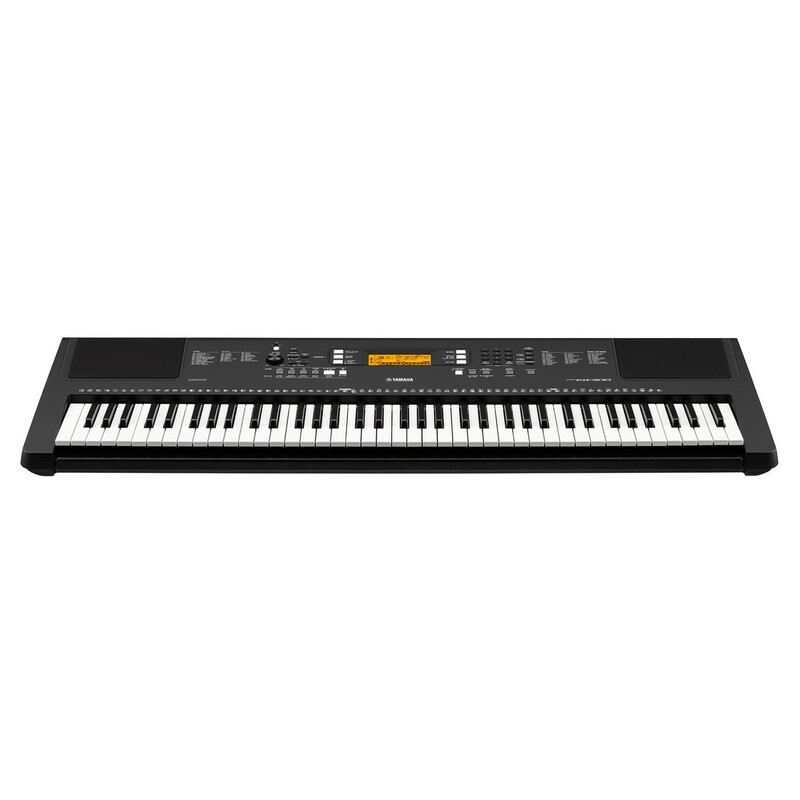 The PSR EW300 benefits from a comprehensive voice library to experiment with. 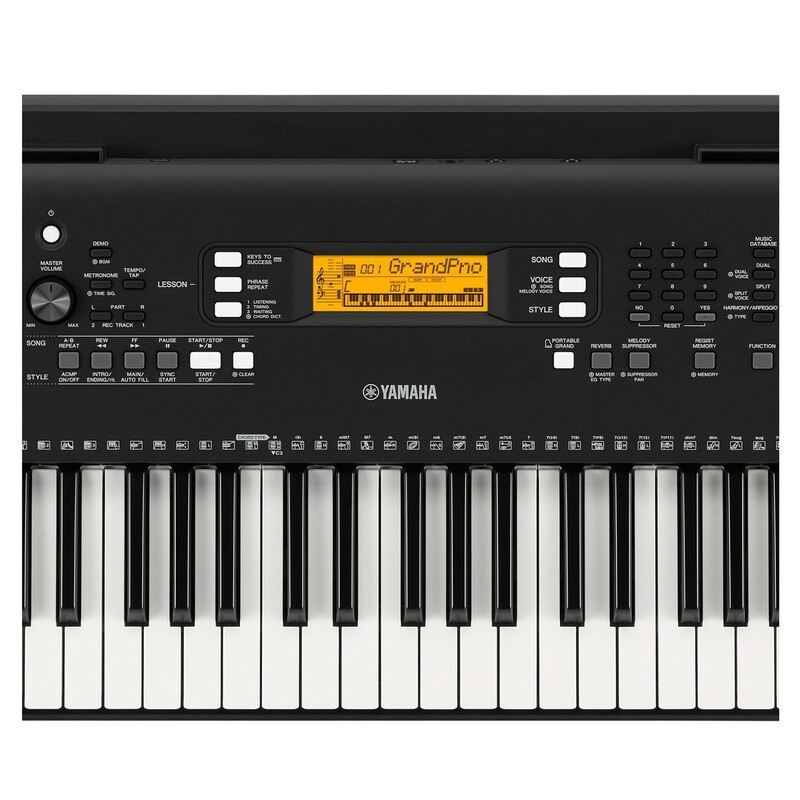 The 400 high quality voices include a range of keys, synths, guitars and brass instruments to utilise. This is ideal for students who want to try different genres of music, sound like their influences, or add layers to a band. Each voice can be enhanced with the use of reverb, chorus and a master EQ. The PSR EW300's library can be easily accessed and recalled using the intuitive interface and display guide. 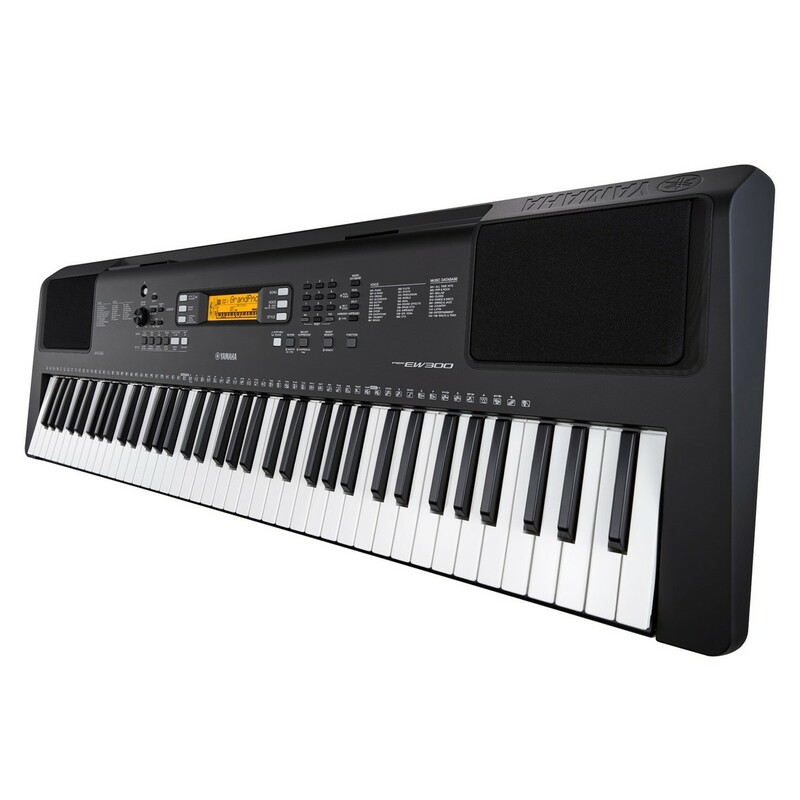 For experimenting students and bands who want their music to be constantly inspired, the PSR EW300 is an ideal choice.